Home/SmileSpeak/Periodic gum disease bothering you? Here’s what we hope our ideal scenario should be: we want to walk into the dentist’s office, hear him say our teeth look absolutely perfect, get a routine cleaning and not think about it for the next six months. Here’s what actually happens: we think we’re taking great care of our teeth, we try to brush twice a day, floss occasionally and occasionally use mouthwash. But gum disease or periodontal disease continues to bother us. “Periodontal disease can be treated in a number of ways depending on the severity. 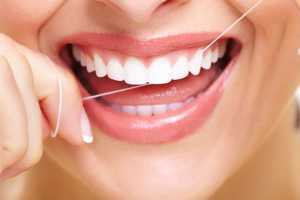 While gum disease is treatable, it isn’t completely curable. Without vigilance on the part of the patient, including good oral hygiene practices, it can easily come back.” Says Dr. Priyank Mathur from Smielkraft Dentistry. After undergoing treatment at Smilekraft Dentistry, Dr. Mathur will teach you how to keep this disease at bay. Periodontal disease is caused by a buildup of plaque on the teeth and gums, and no matter how diligent you are about cleaning your teeth, plaque will continue to accumulate after your periodontal treatment, which is why maintenance therapy is important. During maintenance therapy, which may last for several months after your treatment, you will need to have your teeth checked periodically for plaque buildup and other hidden problems. Maintenance visits may also involve measuring the pockets around your teeth, taking x-rays to examine the condition of the bone beneath your teeth, and assessing of your oral hygiene habits. The most important factor in determining whether your gum disease will return or not is you. If your gum disease recurs—and goes unnoticed—you may require more extensive or invasive treatments in the future. However, keeping your natural teeth clean, healthy, and functional will allow you to speak, eat, and smile comfortably. If you think you may have gum disease or you’re concerned that your gum disease may be returning after treatment, visit Smilekraft Dentistry.